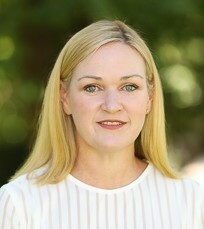 Donella Piper is a Senior Lecturer in Management and Organisational Studies. Donella is a lawyer by background and holds a PhD in Social Science awarded by the Centre for Health Communication at the University of Technology Sydney. Her teaching, research and consulting activities are inter-disciplinary spanning management, law, regulation, social science, and healthcare. Donella has extensive experience in research design, implementation and analysis. During 2008-10 she worked as an investigator on five inter-disciplinary qualitative research projects involving interviewing participants and analysing and triangulating data, funded by the Australian Commission on Safety and Quality in Health Care (ACSQHC). These projects culminated in five reports to the funding body and nine journal articles. In 2010 she was employed as a full-time research fellow at the Centre for Health Communication at UTS. Part of her role was to conduct three external evaluations, for NSW Health, on the implementation of experience based co-design initiatives in several NSW Health acute sites. She led two of these projects and interviewed over 80 participants. This work culminated in the publication of three evaluation reports and two journal articles. She was employed as a Senior Research Associate at the Centre for Health Law Research and Centre for Research Excellence in End –of-Life Care in 2015-2017, working on two of the Centres’ NHMRC funded projects. Her current research activity is as an investigator on a Category 1 grant funding an Experience-based co-design project led by the University of Melbourne. From 2011 to Donella has taught at the University of New England in the Schools of Law, Health and Business, teaching communication, management and medico-legal courses. Her current teaching activity is focused on embedding communication and soft-skills within the UNE Business School teaching programs. Donella currently teaches communication skills both within and across undergraduate and postgraduate units and awards offered by the UNE Business School. Paliadelis P, Parker V, Stupans, I, Hudson N, Piper D, et al (2012) Better Prepared, Better Placements grant. Tender awarded by HETI (NSW) $75,000. Iedema R, McGregor J, O’Grady C, Piper D, Wood, A. (2011) Evaluation of the Improving Patient & Staff Experience Program. NSW Health, Health Services Performance Improvement Branch (Ernst & Young), August 2011, $6800. Iedema, R, Piper D. (2011) Additional Analysis of Clinician Interview Transcripts from the ‘100 Patient Stories’ Project and Evaluation of the Open Disclosure Pilot Regarding Staff Experience of Open Disclosure. Australian Commission on Quality and Safety in Health Care, $17,000. Donella Piper Consulting Pty Ltd Patient-Centred Health Care Discussion Paper (2010) Quotation accepted by the Australian Commission for Safety and Quality in Health Care. $60,000. Iedema R, Sorensen R, Perrott B, Merrick E, Piper, D., Elliott, D. (2009) Evaluation of the Codesign Project Program 1 Stage 2. Tender awarded by NSW Health, Health Services Performance Improvement Branch, $20,000. Iedema R, Sorensen R, Perrott B, Merrick E, Piper D, Elliott, D. (2009) Evaluation of the Codesign Project Program 2 Stage 1. Tender awarded by NSW Health, Health Services Performance Improvement Branch, $20,000. Iedema R, Slade D, Scheeres H, Sorensen R, Piper D, Manias E, Williams A, Allen A, Grbich C, Meyer S, Dadich A, Fitzgerald A, et al (2008). 100 patient stories and Open Disclosure indicator development project. Tender awarded by the Australian Commission for Safety and Quality in Health Care $490,000. Iedema R, Sorensen R, Slade D, Scheeres H, Piper D, Walsh J. (2008) Evaluation of the Emergency Department Codesign Initiative. Tender awarded by NSW Health. $27,750. Iedema R, Sorensen R, Piper D. and Brownhill S. (2007) Open Disclosure: An International Literature Review. Quotation accepted by the Australian Commission for Safety and Quality in Health Care $13,000. Iedema, R, Manias E, Westbrook M, Hegney D, Piper D, Forsyth R, Nugus P, Hor S, Mallock N, Williams A, Perrot B, Scheeres H, Sorensen R, McManus J, Braithwaite J, (2007) Data collection, analysis and evaluation of The Open Disclosure Standard: A national standard for open communication in public and private hospitals following an adverse event in health care. Tender awarded by Queensland Health: $158,282. Iedema I, Piper D & Manidis M. (Eds) (2015) Communicating Quality and Safety in Healthcare, Cambridge University Press. Iedema R, Piper D, Beitat K, Allen S, Bower K and Hor S. (2016) “Risk and clinical incident disclosure: Navigating between morality and liability”, chapter in Communicating Risk, Candlin CN, Crichton J, Firkins AS (eds) Macmillan Publishers. Iedema R, Piper D and Manidis M. (2015) “Communicating quality and safety” chapter 1 in Iedema R, Piper D and Manidis M. (Eds) Communicating Quality and Safety in Healthcare, Cambridge University Press. Iedema R, Manidis M and Piper D. (2015) “A brief history of communication in healthcare”, chapter 2 in Iedema R, Piper D and Manidis M. (Eds) Communicating Quality and Safety in Healthcare, Cambridge University Press. Piper D, Parker V and Gray G. (2015) “Communicating across rural and metropolitan health care settings”, chapter 4 in Iedema R, Piper D and Manidis M.(Eds) Communicating Quality and Safety in Healthcare, Cambridge University Press. Piper D, Slawomirski L and Iedema R. (2015) “Communicating about how the safety and quality of care are regulated”, chapter 21 in Iedema R, Piper D and Manidis M. (Eds) Communicating Quality and Safety in Healthcare, Cambridge University Press. Iedema R, Bower K and Piper D. (2015) “Communicating bad news when care goes wrong”, chapter 22 in Iedema R, Piper D and Manidis M.(Eds) Communicating Quality and Safety in Healthcare, Cambridge University Press. Piper D, Cockburn T, Madden B, Vines P and McIllwraith J. (2015) “The Role of law in communicating patient safety”, chapter 23 in Iedema R, Piper D and Manidis M.(Eds) Communicating Quality and Safety in Healthcare, Cambridge University Press. Iedema R, Sorensen R, Jorm C and Piper D. “Co-producing Care”. In Sorensen, R. & Iedema R. (eds) (2008), Managing Clinical Work. Sydney: Elsevier. Willmott, L., White, B., Piper, D., Yates, P., Mitchell, G., Currow, D., (2018) Providing palliative care at the end of life: Should health professionals fear regulation? Journal of Law and Medicine, 26 (1), pp 214-245. Palmer, V., Weavell, W., Callander, R ., Piper, D., Richard, L.,Maher, L., Boyd, H., Herrman, H., Furler, J., Gunn, J., Iedema, I., Robert, G. (2018) The participatory Zeitgeist – an explanatory theoretical model of change for an era of co-production and co-design in healthcare improvement. BMJ Medical Humanities, manuscript ID: medhum- 2017-011398 (under review). Almagheeb, A., Piper D., Paliadelis, P. (2018) The role of teamwork in successfully implementing Total Quality Management A Saudi case study. Journal of Nursing Management, manuscript ID: JNM-18-0037 (under review). Richard, L., Piper, D., Weavell, W., Callander, R., Iedema, R., Furler, J., ... & Palmer, V. J. (2017). Advancing engagement methods for trials: the CORE study relational model of engagement for a stepped wedge cluster randomised controlled trial of experience-based co-design for people living with severe mental illnesses. Trials, 18(1), 169. Palmer, V. J., Piper, D., Richard, L., Furler, J., Herrman, H., Cameron, J., ... & Gunn, J. (2016). Balancing opposing forces—a nested process evaluation study protocol for a stepped wedge designed cluster randomized controlled trial of an experience based codesign intervention: the CORE study. International Journal of Qualitative Methods, 15(1), 1609406916672216. Jackson D, Hutchinson M, Barnason, S, Li W, Mannix J, Neville S, Piper D, Power T, Smith GD and Usher K. (2016) Towards international consensus on patient harm: perspectives on pressure injury policy. Journal of Nursing Management. Palmer V, Chondros P, Piper D, et al (2015) The CORE Study Protocol: a stepped wedge cluster randomised controlled trial to test a co-design technique to optimise psychosocial recovery outcomes for people affected by mental illness in the community mental health setting BMJ Open: 2015;5:e006688. doi:10.1136/bmjopen-2014-006688. Paliadelis P, Parker V, Stupans I, Piper D, et al (2015) The development and evaluation of online stories to enhance clinical learning experiences across health professions in rural Australia. Collegian Journal of the Royal College of Nursing Australia 22 (4) 397-403. Piper D, Iedema R. and Bower K. (2014) Rural patients’ experiences of the open disclosure of adverse events. Aust J Rural Health. 2014 Aug; 22(4):197-203. Iedema R. and Piper D. Do patients want and expect compensation? (2013) Precedent 116 May/June 48-51. (Journal of Australian Lawyers Alliance). Piper D. Disclosure of Quality Assurance Committee membership: Allatt & ACT Government Health Directorate  ACAT 67 (28 September 2012) (2013) Precedent 115 March/April 50-51, (Journal of Australian Lawyers Alliance). Piper D, Iedema R, Gray J, Verma R, Manning N. and Holmes L. (2012) Utilizing Experience-Based Co-design to improve the experience of patients accessing emergency departments in New South Wales public hospitals: An evaluation study Health Services Management Research 11/2012; 25(4):162-72. Iedema I, Allen S, Britton K, Piper D, Baker A, Grbich C, Allan A, Jones L, Tuckett A, Williams A, Manias E. and Gallagher T. (2011) The ‘100 patient stories’ project: Patient and family member views on how clinicians enact and how they should enact incident disclosure – a qualitative study, British Medical Journal July 25;343:d4423doi:10.1136/bmj.d4423. Studdert D, Piper D. and Iedema R. (2010) Legal Aspects of Open Disclosure II – Findings from a national survey Medical Journal Australia 193(6) 351-355. Iedema R, Merrick E, Piper D, Britton K, Gray J, Verma R. and Manning N. (2010) Codesigning as a Discursive Practice in Emergency Health Services: The Architecture of Deliberation. Journal of Applied Behavioural Sciences 46(1) 73-91. Sorensen R, Iedema R, Piper D, Manias E, Williams A. and Tuckett A. (2009) Disclosing medical error to patients: can practice inform policy? 13(2) Health Expectations: 148-159. Iedema R, Sorensen R, Manias E, Tuckett A, Piper D, Mallock N, Williams A. and Jorm C. (2008) Patients’ and Family Members’ Experiences of Open Disclosure Following Adverse Events. International Journal for Quality in Health Care 20(6): 421-432. Iedema R, Mallock N, Sorensen R, Manias E, Tuckett A, Williams A, Perrot B, Brownhill S, Piper D, Hor S, Hegney D, Scheeres H. and Jorm C. (2008) The National Open Disclosure Pilot: Evaluation of a Policy Implementation Initiative. Medical Journal of Australia 188: 397-400. Iedema, R & Piper D. (2011) The implications of mandatory reporting laws for clinician-researchers involved in observational research in health services Medical Journal of Australia 195 (1): 54. Tuckett A, Iedema R, Sorensen R, Mallock N, Manias E, Williams A, & Piper D. In response to: Johnstone, M-J., (2008) “Clinical risk management and the ethics of open disclosure Part 1. Benefits and risks to patient safety,.” Letter to the Editor/Commentary. Australasian Emergency Nursing Journal. 11(2008) 88-94. Studdert D. and Piper D. (2008) Legal Issues with Open Disclosure, Paper prepared for the Australian Commission for Safety and Quality in Health Care for presentation to the Australian Health Ministers Conference, May 2008. McGregor J, O’Grady C, Wood A, Piper D, and Iedema R. (2011) A Qualitative Interview-based Evaluation of the ‘Improving Patient and Staff Experience’ (IPSE) Program, prepared for Ernst & Young on behalf of NSW Health, pp 1- 60. Iedema R, Allen S, Britton K, Gallagher T, Piper D, Sloan T, Dadich A, Grbich C, Sorensen R, Allan A, Scheeres H, Fitzgerald A, Manias E, Williams A, Jones L, Watson B, Tuckett A. and Elliott D. (2010) Final Report: The Open Disclosure Research and Indicator Development Including the ‘100 Patient Stories’ Project. Sydney: UTS Centre for Health Communication & Australian Commission on Safety and Quality in Health Care, pp1-156. Luxford K, Piper D, Dunbar N. and Poole N. (2010) Improving Safety and Quality by Focusing Care on Patients and Consumers: Australian Commission on Safety and Quality in Health Care, pp1-85. Piper D, Iedema R. and Merrick E. (2010) Experience-based Co-design Evaluation Program 2 Stage 1– Final Report to Health Services Performance Improvement Branch, NSW Health. Sydney: Centre for Health Communication, University of Technology Sydney. ISBN: 978-0-9807908-1-8. Piper D, Iedema R. and Merrick E. (2010) Emergency Department Co-Design Evaluation Program 1 Stage 2 – Final Report to Health Services Performance Improvement Branch, NSW Health. Sydney: Centre for Health Communication, University of Technology Sydney. ISBN: 978-0-9807908-0-1. Piper D and Dunbar N. (2008) “Health Care Rights: Will Patients’ Rights Be Respected?” chapter 3, National Report on Safety and Quality in Health Care, Australian Commission on Safety and Quality in Health Care Annual Report. Jorm, C. (ed). Sydney: Australian Commission on Safety and Quality in Health Care. ISBN 978-0-9803462 – 5. Iedema R, Merrick E, Piper D. and Walsh, J. (2008) Emergency Department Co-Design Evaluation Stage 1 – Final Report to Health Services Performance Improvement Branch, NSW Health. Sydney: Centre for Health Communication, University of Technology Sydney. ISBN: 978-0-646-50725-5. 13th NSW Rural Health and Research Congress - November 2015, Armidale Bowling Club. Presentation entitled: Exploring Patient Safety in Rural Areas – Results from the HSOPSC survey. 12th NSW Rural Health and Research Congress – October 2014, Dubbo Conference Centre. Presentation entitled: Exploring Patient Safety in Rural Areas – A Review of the Literature. IIR Deteriorating Patients Conference 17-18 September 2013, Hilton on the Park Melbourne. Presentation entitled: Listening to deteriorating patients and relatives: Evidence from the ‘100 patient stories study’. IIR Medico-legal Congress March 2013. Presentation entitled: The Effect of Open Disclosure on Litigation. First International Incident Disclosure Conference, October 2012 at UTS Sydney. Presentation entitled: Open Disclosure: Emerging Issues from the Rural Frontier.